There are three steps to become an a home inspector in the state of Massachusetts. Step one: Complete 75 hours of classroom training to become approved by the Massachusetts Board of Registration of Home Inspectors. The Inspection Certification Associates 75 hour, 8-day classroom course is approved to fulfill this requirement. Step two: Complete 25 ride-along inspections with a Massachusetts licensed home inspector. We can help with this. All graduates of the ICA Massachusetts home inspection licensing course recieve a free one-year membership to InterNACHI, which has a very robust mentorship program. Step 3: Take and pass the National Home Inspectors Exam. We fully prepare all of our graduates for this by including a 200 page online study guide and 700 practice questions specific to the National Home Inspectors Exam. At that point you are issued your initial license and can begin performing inspections for an existing home inspection company. If you prefer to start your own home inspection business you can do that too, you just need to have experience totaling 100 inspections prior to that. The ICA Massachusetts Home Inspection Licensing Course will give you all the knowledge you’ll need to perform a home inspection and own/operate your own successful home inspection business, along with teaching you all about commercial inspections as well as mold, radon, and code. Upon completion of the course, you will be an ICA Certified Real Estate Inspector. As stated above, once you complete our 8 day (75 hour) home inspection classroom training course you are ICA Certified and have fulfilled the home inspection training requirements for Massachusetts. You also will need to take the National Home Inspectors Exam, for which we prepare you. After that you are licensed and ready to go. The average salary for a home inspector in Massachusetts is approximately $87,000 per year. How much money should a home inspector charge for a home inspection? The average inspection fee for a 2,000 square foot home inspection in Massachusetts is $420. The amount you charge for a home inspection will vary based on age and square footage of the home. Our course will teach you how to structure your home inspection fees. No. Home inspectors in Massachusetts should not go on the roof of the home during the inspection. Per current standards of practice, the proper way to inspect a roof is to stand back and use a good pair of binoculars. Over ninety percent of home inspectors use the binocular technique for inspecting the roof of a home. Some home inspectors have even started using small drones to inspect a roof. We actually include a module on how to use a drone to inspect the roof of a home in our online home inspection course, which all of our Massachusetts home inspectors get access to free of charge. Yes. We work very closely with InterNACHI. In fact all of graduates of our Massachusetts home inspector course receive a free one year membership to InterNACHI. Do you mail me a hard copy of my home inspection certification? Yes. We mail out your home inspection certification to you upon completion of our 75 hour Massachusetts home inspection classroom course. We also mail out a wallet-sized, laminated copy of your credentials. We have an arrangement with www.homeinspectionform.com wherein graduates of our Massachusetts home inspection course receive a free copy of their Report Form Pro 2 home inspection reporting software. That is the report that most of our graduates start with since it is so easy to use. Normally selling for $400, the Report Form Pro 2 home inspection reporting software can be printed and filled out by hand or filled out on your smartphone, tablet, or computer. You can even put in photos easily. Report Form Pro 2 is the number one home inspection reporting software program for home inspectors in Massachusetts. Is there a time limit for the classroom course in Massachusetts? No. There is no time limit on our Massachusetts home inspection course, so for example if you needed to take 4 days in one class session and then 4 more days next session to get all 8 days of home inspection training completed that is no problem..
Do you provide a list of tools that I need for performing a home inspection in Massachusetts? No schools are allowed to give the home inspection exam in Massachusetts. That test is given by a third-party testing company. Do you send my certificate to the Massachusetts home inspection licensing board? Actually, the way it works is once you complete our course and pass the Massachusetts exam, you will send the board a copy of your certification from us along with your score sheet from the Massachusetts exam. Then you will be issued your Massachusetts home inspection license. No, in Massachusetts you must complete our 8 day classroom training course to become a licensed home inspector and start your home inspection business in Massachusetts. We have full support for all students and graduates, both during and after the course. Even if you have questions when you are out in the field performing a home inspection, we can assist via email, text, or phone. Do I need to be a contractor to be a home inspector in Massachusetts? No. We train students from all different backgrounds to be successful Massachusetts home inspectors. A contractor background can be helpful but it not necessary or mandatory to become a home inspector in Massachusetts. It doesn’t matter whether you want to become a home inspector in Boston, Quincy, Natick, or Worcester; our home inspection classroom course will fulfill the Massachusetts home inspection licensing requirements. What are you waiting for? Enroll now and begin your new career as a home inspector in Massachusetts! 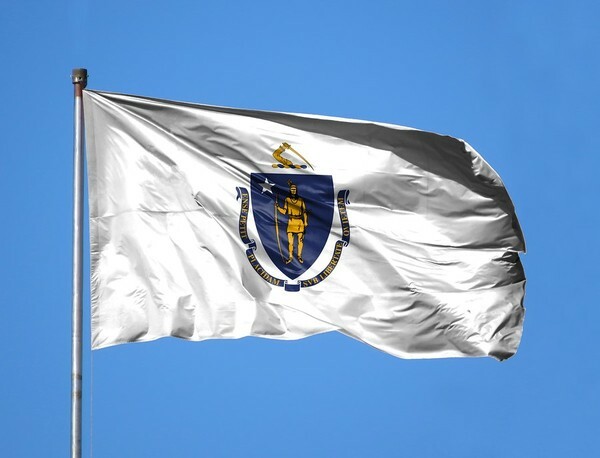 Want to leverage the ICA advantage for your new career as an Massachusetts home inspector? Check out our website today!